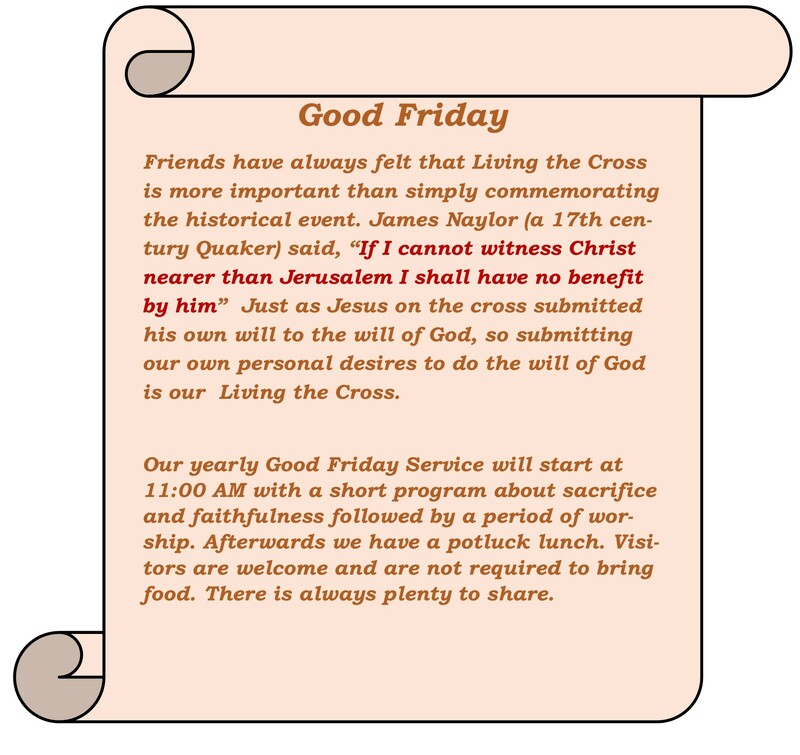 Mullica Hill Friends (Quaker) Meeting – Friends have been distilling religion down to its basics for over 350 years. Friends have been distilling religion down to its basics for over 350 years. We, the Friends of Mullica Hill Meeting, welcome you to our meeting for worship, Sunday School, and other activities. You don’t have to be a Quaker to visit us. Some people visit because they are looking for a religious home, others simply want to find out what Quakers are really like. Often we are visited by people who are doing research on Quakers for a school assignment. Everyone is welcome. We hope that you will find here, as we do, a source of help, strength, wisdom, and peace. We invite you to linger with us after worship and share a brief time of fellowship. You are welcome to take any of our pamphlets that interest you. If, after attending meeting for worship for a time, you feel attracted to the Religious Society of Friends and wish to join the Meeting, we encourage you to let us know of your interest. We welcome as members any who find themselves in unity with our principles and aspirations. We are strengthened by your presence and trust that, whether or not you join Friends, you will always find a warm welcome in our Meeting. Mullica Hill Friends Meeting is a Quaker meeting in Harrison Township, NJ. It is a member of Salem Quarterly Meeting and Philadelphia Yearly Meeting. We welcome visitors!